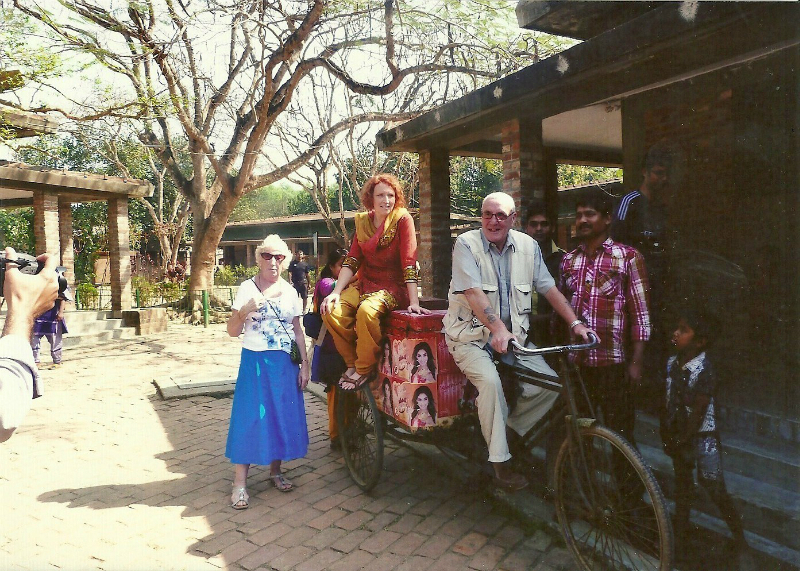 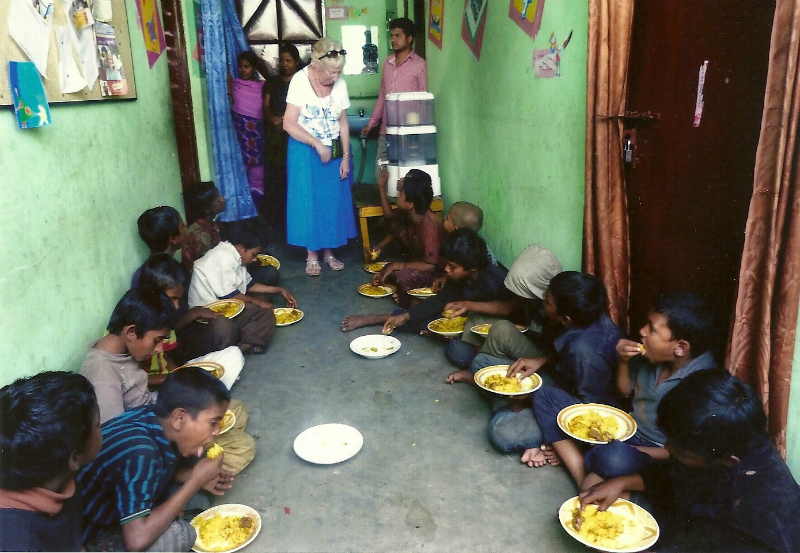 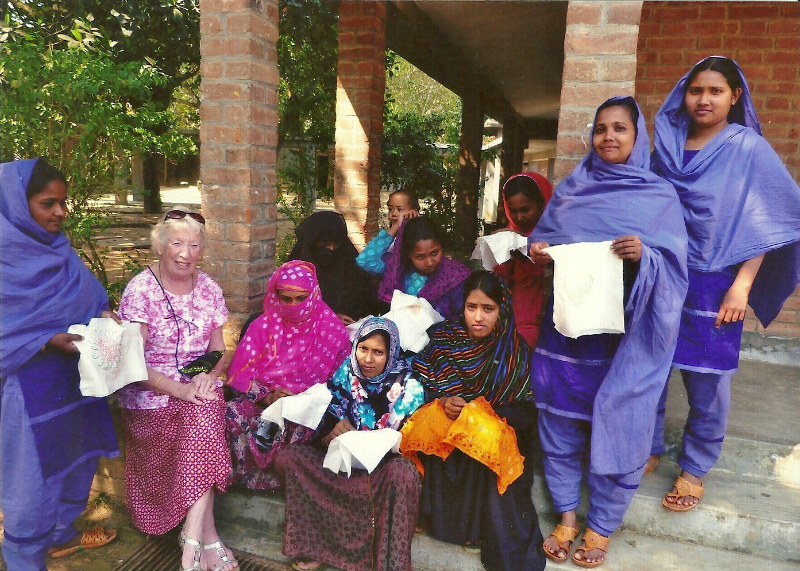 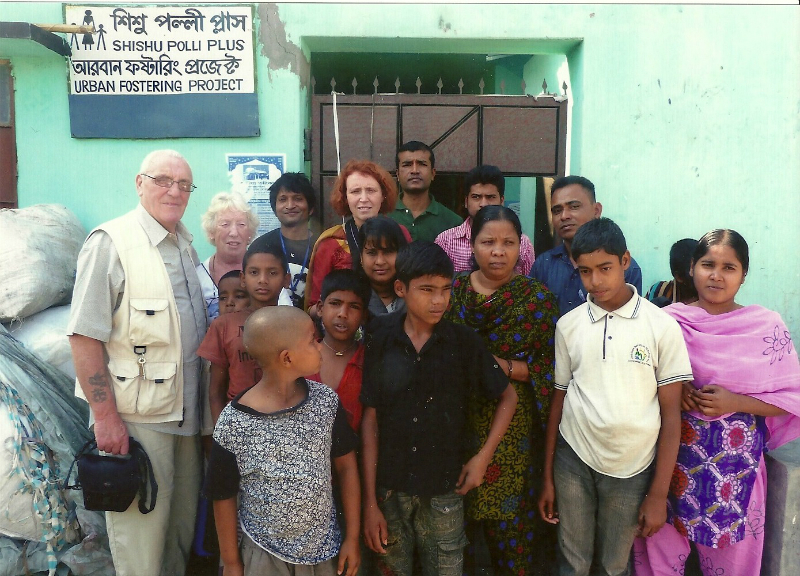 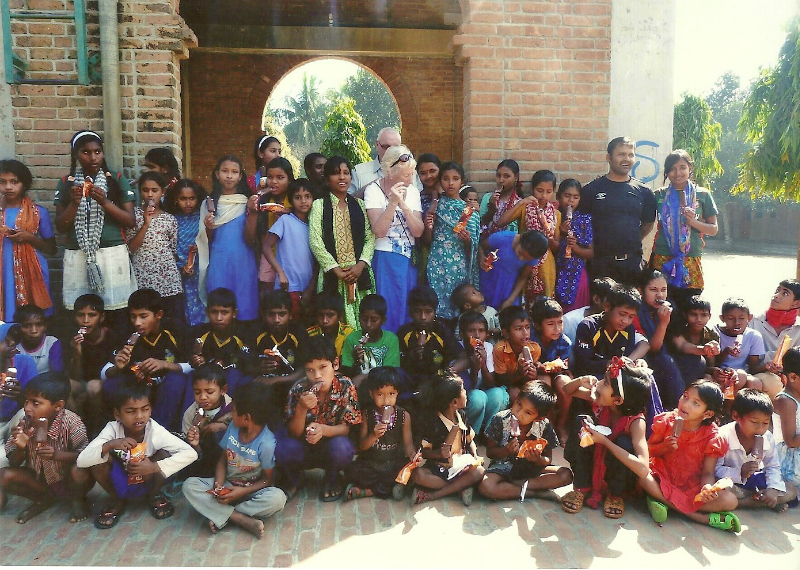 Ruby has just returned from another successful visit to Sreepur, and has achieved a lot while she has been out there , as you will see from the wonderful photographs she brought back. 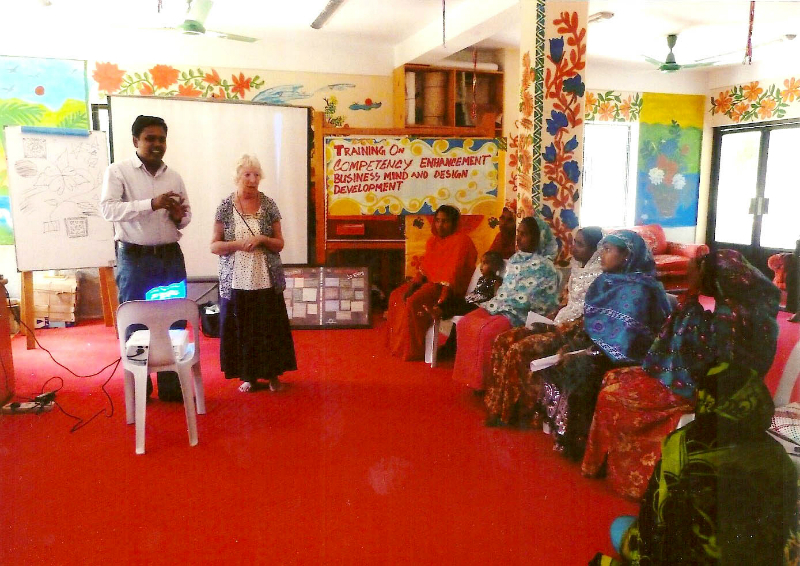 Ruby also had two days Training Sessions with the mothers at Sreepur. 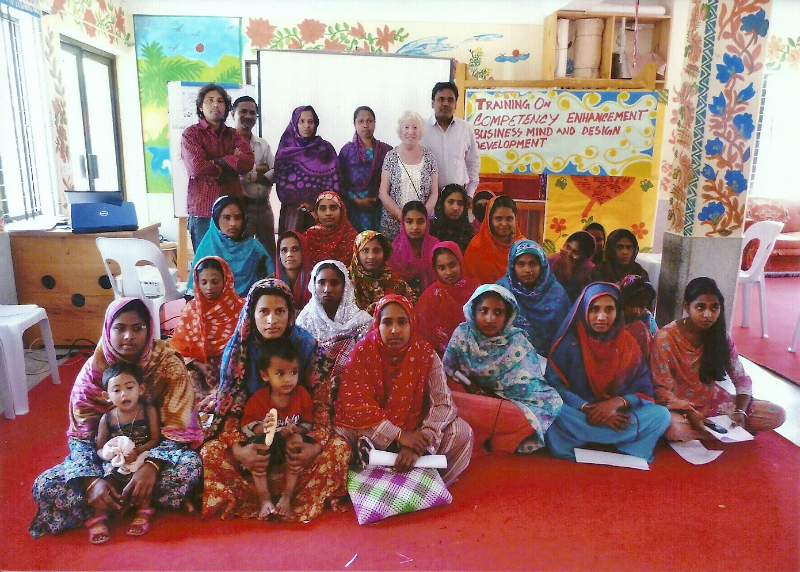 70 mothers attended over two days, and it was an excellent programme. 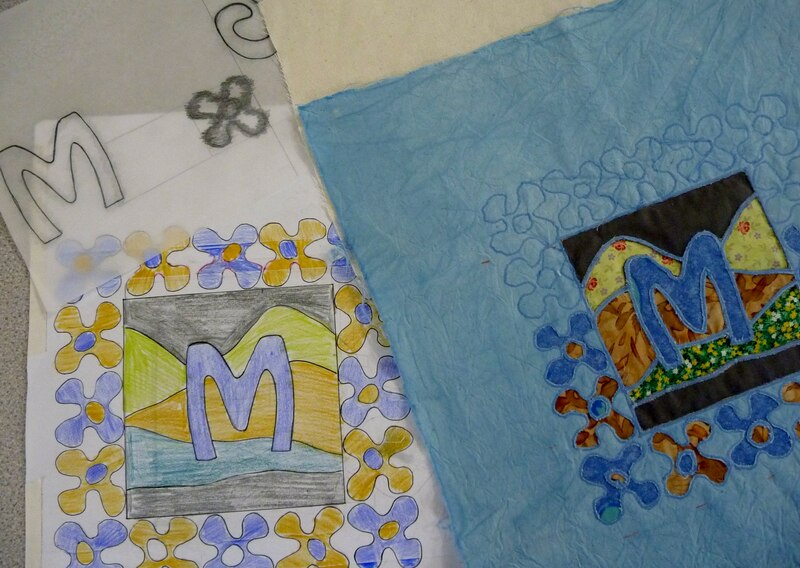 Ruby enjoyed having lunch with all the mothers and they all produced some amazing embroidery. 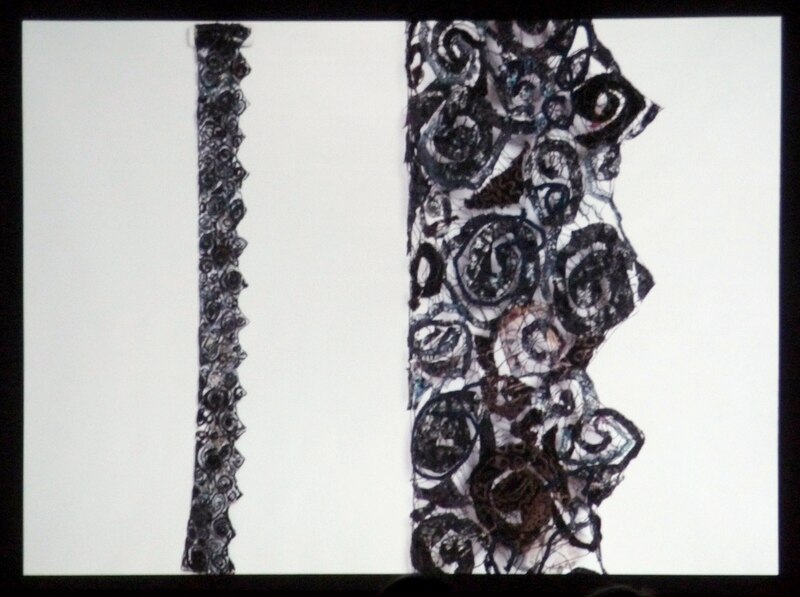 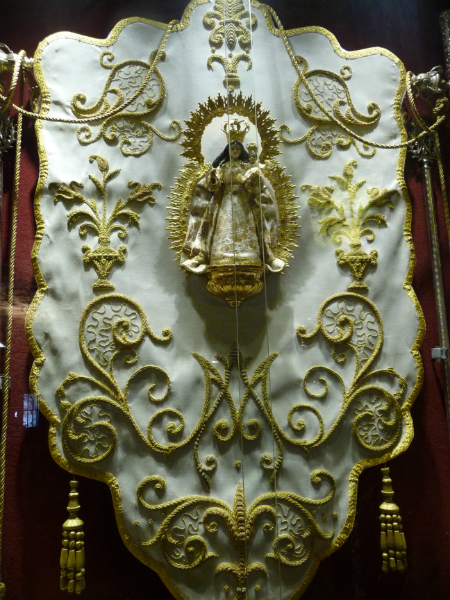 David from the Embroiderers’ Guild H.Q. 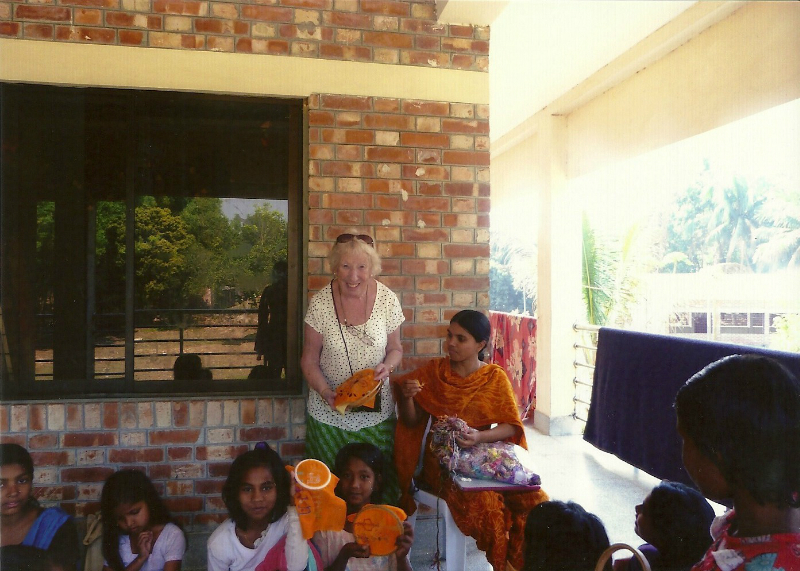 donated the yellow bag for a prize. 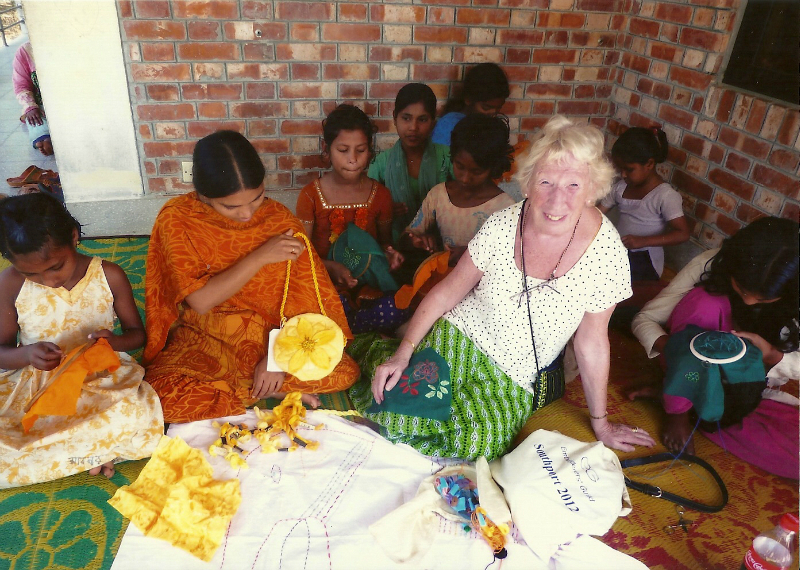 It was one of the bags made for the raffle at Southport National AGM, and Shabita fell in love with it. 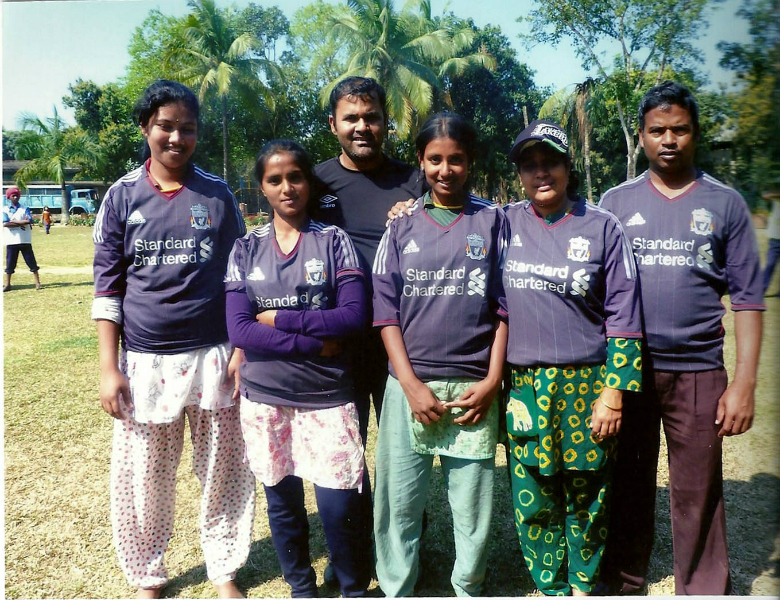 At the end of the training session the embroidery girls donned Liverpool kits ready to play cricket! 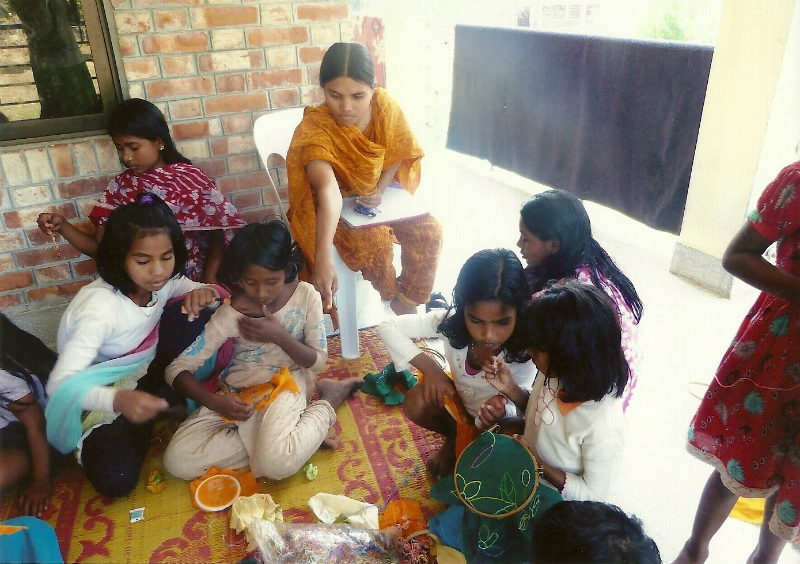 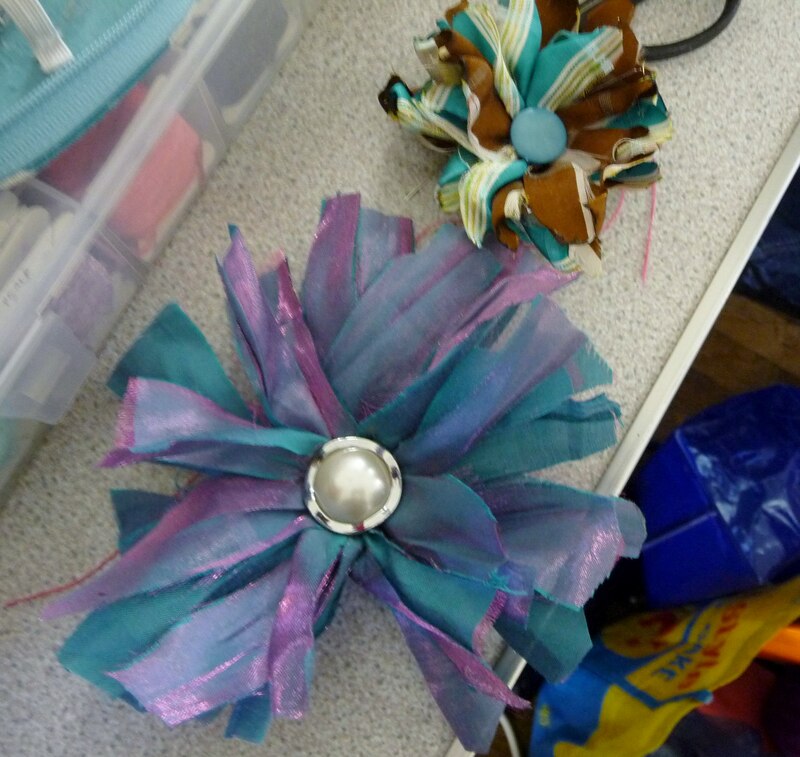 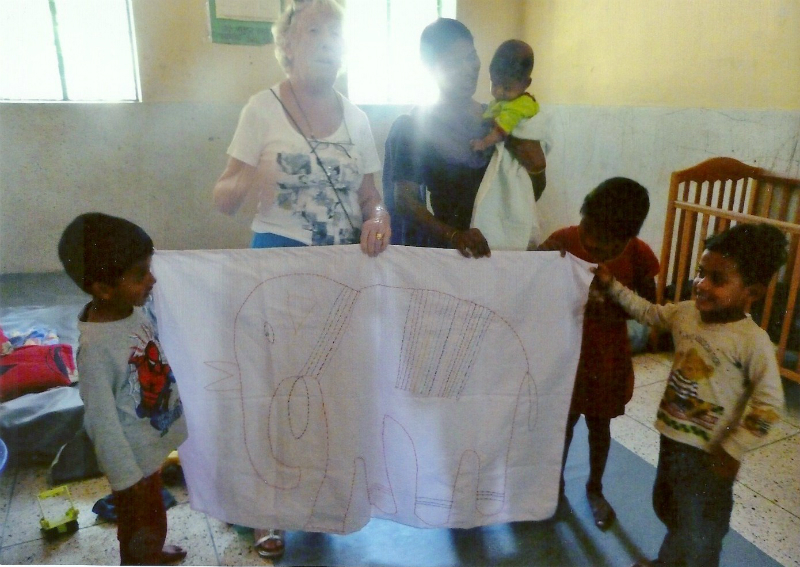 The following photographs are of Shabita and Ruby sewing with the children, the elephant was made by the children of St. Austin’s School in Liverpool for the children of Sreepur, Bangladesh. 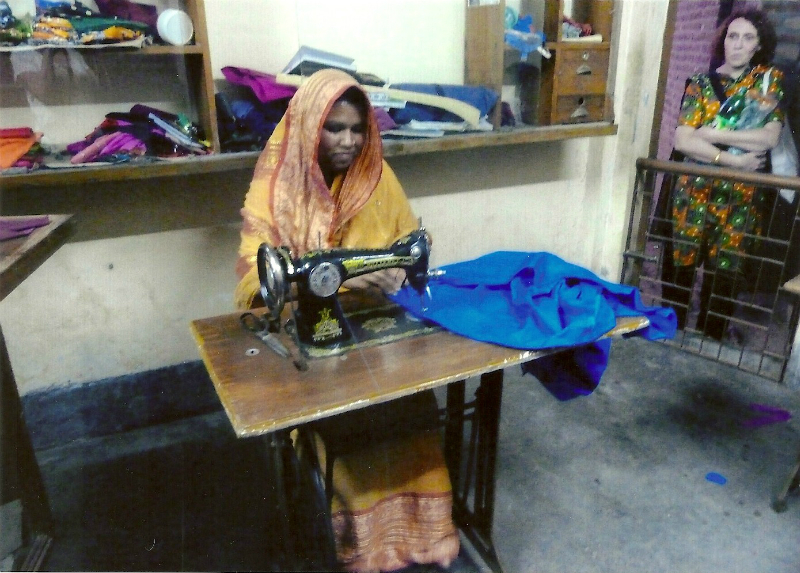 The remaining photo is of one of the village mothers making Ruby a cotton skirt.